Dr Glegg is currently the Associate Head of Marine Science in the School of Marine Science and Engineering working with the group of staff responsible for delivering the undergraduate programmes in Ocean Science and Marine Conservation, Oceanography and Coastal Processes and Ocean Exploration and Surveying alongside MSc programmes in Applied Marine Science, Hydrography and Marine Renewable Energy. She is a lecturer in marine environmental management teaching on both undergraduate and postgraduate courses. 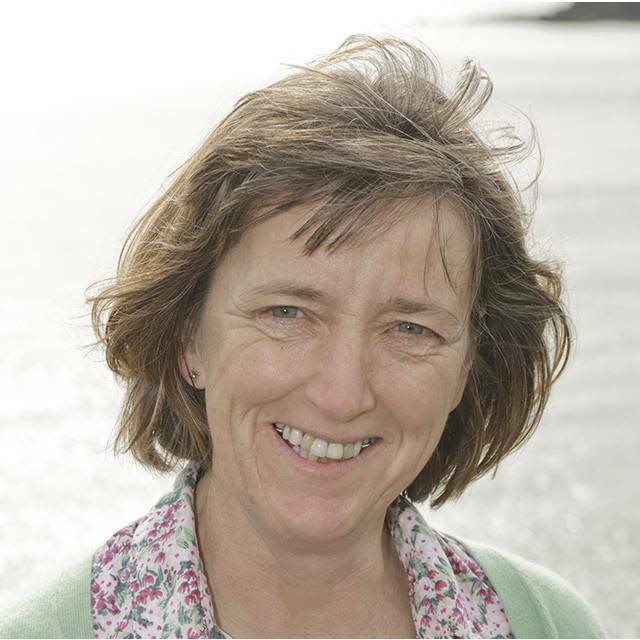 Her interests focus on the links between science and policy in the management of people's activities and impacts on marine and coastal waters including, for example, regulation and control of marine pollution from point sources such as industrial pipelines and sewage and diffuse pollution from agriculture and urban land; integrated coastal zone management and marine spatial planning. She teaches courses in basic chemistry, marine pollution, marine monitoring and management of the marine and coastal environment including coastal zone management and marine planning at both undergraduate and postgraduate level. She is a member of MarCoPol - the Centre for Marine and Coastal Policy Reseach within the Marine Institute at the University. She has been involved in a number of research projects including CAMIS and VALMER. More information about these projects can be found through the MarCoPol website. Currently she is working on the ResponSEAble project on ocean literacy which is funded by the EU 2020 programme. Dr Glegg leads the Faculty Research Ethics Committee. She is also the Honorary Secretary for the Estuarine and Coastal Sciences Association (ECSA). Member of International Water Association, Institute of Teaching and Learning and Secretary to the Estuarine and Coastal Sciences Association. Recipient of a Winston Churchill Memorial Trust Travelling Fellowship to study pollution management and control in Portugal, the Netherlands and the United States. In addition Dr Glegg teaches on a range of modules across marine science including stage 1 chemistry for marine and environmental students, stage 2 marine chemistry, postgraduate research skills, the third year residential field trip to the Scilly Isles and acts as advisor to undergraduate and postgraduate research dissertations. RESPONSEABLE Horizon 2020 project on ocean literacy. Developing targeted communication materials to raiseawareness of our individual and collective responsibility andinterest in ensuring the sustainability of the ocean and of its ecosystems.2015-2019. With Dr S Fletcher. Darwin Plus project – StHelena. Sustainable development andmanagement of St Helena’s fisheries and marine tourism. Research and trainingon ecosystem services and their role in future marine planning. 2015-2017. WithDr S Fletcher and Dr L Rodwell. PEGASEAS INTERREG IVa fundedcapitalisation project on Promoting Effective Governanceof the Channel Ecosystem. A consortium of 11 partners including localauthority, research institutes and Universities led by the Plymouth University(£1.2 million; 2013-2014). Joint PI. ELOISE - A project to assist in the dissemination of the results from the European Land Ocean Interaction Studies to the community involved in the planning and management of our use of the coastal zones of Europe and our near neighbours. (2003/4) In collaboration with Norwegian Institute for Air Research, University of East Anglia, Nederlands Instituut voor Oecologuisch Onderzoek and Vrije Universiteit Amsterdam (total approx EUR 400,000). Atlantic Living Coastlines project - member of the steering group and chair of the working group concerned with environmental indicators for this EU demonstration project on Integrated Coastal Zone Management. Implementation of government policy: the case of marine pollution - a study funded by the Natural Environment Research Council - undertaken as a PhD by Dr J Richards. The use of biomarkers for the ecotoxicological assessment of complex effluents - a University funded PhD study undertaken as a PhD by Dr K Astley. Freidrich, Laura. The potential of ecosystem services as an approach for marine stakeholder engagement. PhD awarded 2017. Hussein, Khwam R. Source tracking of faecal indicator bacteria of human pathogens in bathing waters: an evaluation and development. PhD awarded 2014. Peckett, Francis. Spatial decision support tools to support marine planning, PhD awarded 2015. Marshall, Charlotte. Species distribution modelling to support marine conservation planning. PhD awarded 2012. Popoola, Olusola. Sea level rise and sustainability of the Nigerian coastal zone. PhD awarded 2012. Kelly, Claire L. Partnerships in the development and management of marine nature-based tourism. PhD awarded 2009. Hughes Dit Ciles, Emily. Sustainable development in marine recreation. PhD awarded 2009. Maier, Gerald. Investigating the effectiveness of Nitrate Vulnerable Zones Action Programme measures in estuaries. PhD awarded 2009. Gallagher, Anthony. Sustainability Systems Appraisal for Integrated Coastal Zone Management, Southampton Solent and Nottingham Trent University. PhD awarded 2006. Abbott, Victor J. A regional coastal zone management system. PhD awarded 2000. Richards, Jonathan P. Implementation of government policy: the case of marine pollution. PhD awarded 2001. Astley, Katrina A. The ecotoxicological assessment of complex effluents using invertebrate biomarkers. PhD awarded 1998. Jones GE & Glegg GE 2004 Effective use of geophysical sensors for marine environmental assessment and habitat mapping.